Momentum for a deal is strong. 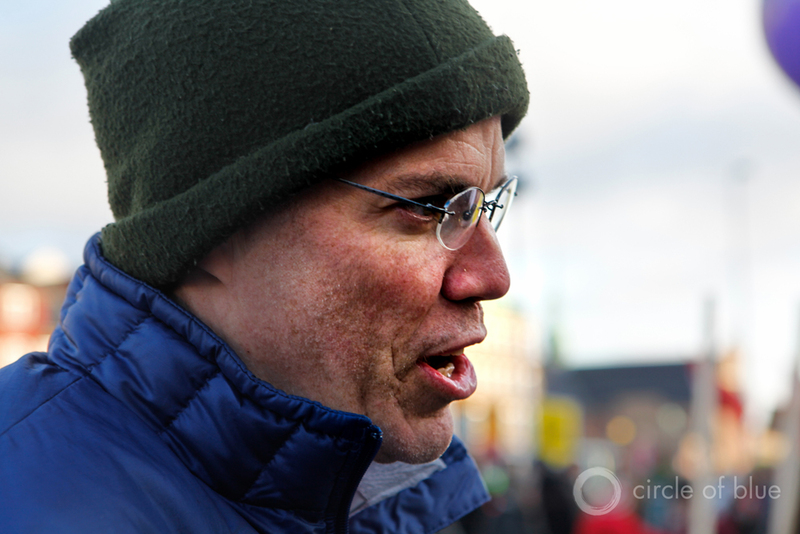 Bill McKibben, co-founder of 350.org. ““Paris is the scoreboard more than the game,” he says. “The results will reflect how much movement pressure we’ve built since Copenhagen.” Click image to enlarge. In a way the Paris terrorist attack, coming so close to the start of the summit, resembles the unexpected online hacking attack that disrupted the start of COP 15 in Copenhagen. Then, as now, there was great hope that negotiators from nearly 200 nations would reach agreement on an international accord to limit climate emissions and slow the planet’s dangerous warming. 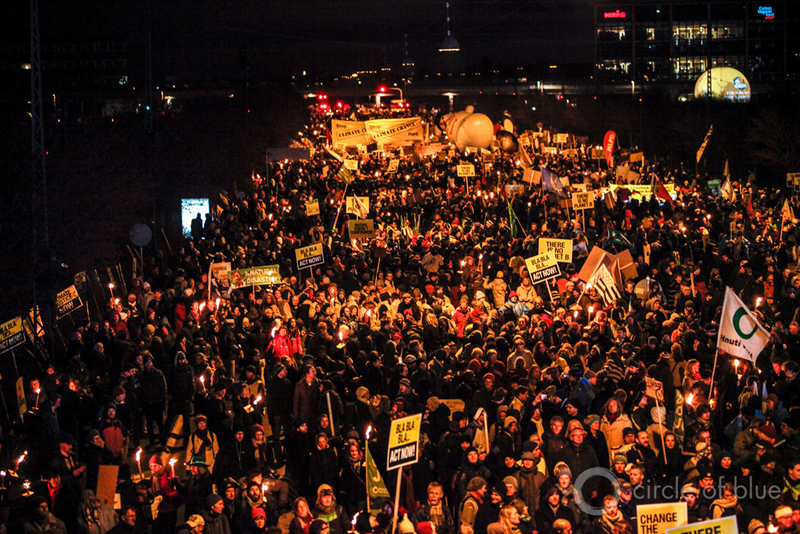 A large march and demonstration was held in Copenhagen in 2009 at COP 15. French authorities cancelled two marches scheduled for the COP 21 climate conference in Paris. Click image to enlarge. Just days before the Copenhagen climate summit started in 2009, though, hackers broke into an email cache at the Climate Research Unit at the University of East Anglia in England, a top climate research group. The hackers uploaded the stolen emails, which included candid private conversation between scientists, to several sites. Opponents of climate action, and broadcast newsrooms, pounced on the emails and indecorously parsed them for evidence of scientific uncertainty about the authenticity of the planet’s warming, doubts that the emails never discussed. In 2009, the global climate movement was in its infancy. The evidence of the droughts, floods, storms, wildfires, and plagues linked to the warming climate were not quite as recognizable. The hack job achieved its objective by producing an internationally televised scientific smear that rattled attendees and was a factor in the conference’s disappointing result. What is so different in 2015 is the determination that world leaders and citizens are displaying in Paris. They are defying the blood and carnage to convene a global climate summit that achieves a breakthrough. 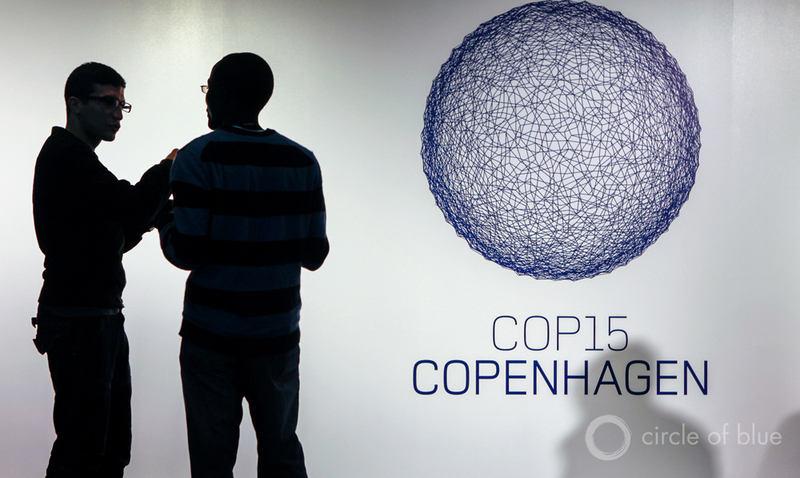 The Copenhagen climate summit in 2009 achieved little despite high expectations. Click image to enlarge. News media attention to the links between climate change and disruption to global hydrological cycles is becoming keener. On November 18, the same day that French authorities closed down public demonstrations at the Paris conference, the United Nations Secretary-General Ban Ki-moon hosted a three-day meeting in New York on the links between water management and disaster risk reduction. Ki-moon stressed that floods, droughts and cyclones have caused more than $US 1 trillion in damages and affected over 4 billion people since 1990. The global fossil fuel industry’s grip on financial sectors and governments is weakening as prices drop and alternatives to fossil fuel become economically competitive. 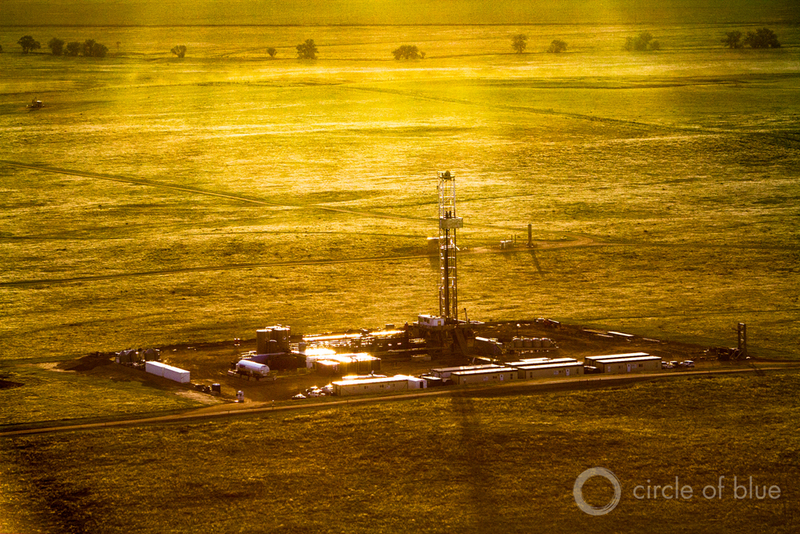 Here, an unconventional fracked oilfield in Weld County, Colorado. Click image to enlarge. A fourth factor that could lead to an international climate agreement in Paris is the diminished economic and political power of the global fossil fuel industry. In what may be the start of a slow-footed dance to extinction, producers of coal, natural gas, and oil are under assault from governments and from markets. Prices are low. Coal companies are going bankrupt. Oil companies are retreating from planned developments and 200,000 workers in the United States have been laid off. ExxonMobil is under investigation for securities fraud associated with its program to hide its own science on the hazards of carbon and finance groups and lawmakers who assert that climate change is a hoax. Investors with $US 3.4 trillion dollars in assets are withdrawing their money from fossil fuel company treasuries in a global disinvestment campaign that is growing more influential by the month. 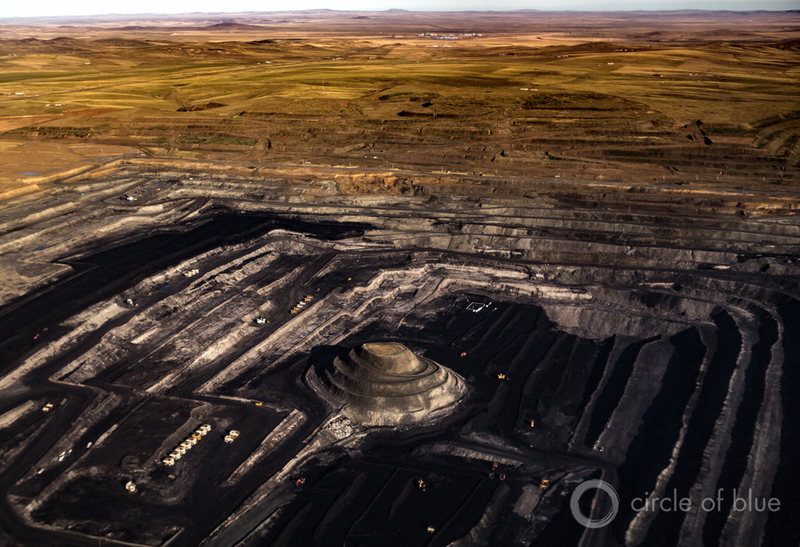 China is making a pivot to clean up emissions from its carbon-based fuel sources like this coal mine near Xilinhot, Inner Mongolia. Click image to enlarge. The ecological and economic momentum pushing negotiators to agree to reduce carbon emissions appears so powerful, say participants, that even the assault on safety and reason wrought by the Paris terrorist attacks is now part of the growing endowment of reasons to act. It is now widely recognized that among the 2011 ignition points of the civil war in Syria, which provided ISIS with access to territory it could invade and defend, was a four-year drought that wrecked agriculture and forced over one million rural residents into Syria’s unstable cities. Predicting an outcome of the Paris Climate Conference is like guessing the winner of the American Superbowl. If a deal is struck, its provisions will not go into effect until 2020. And if an agreement is reached, say climate activists, it will be surprising if it is sufficiently aggressive to hold global temperatures from rising 2 degrees Celsius, the level that scientists say is needed to prevent environmental and economic ruin. Deep droughts are causing havoc in global food baskets like California’s Central Valley. 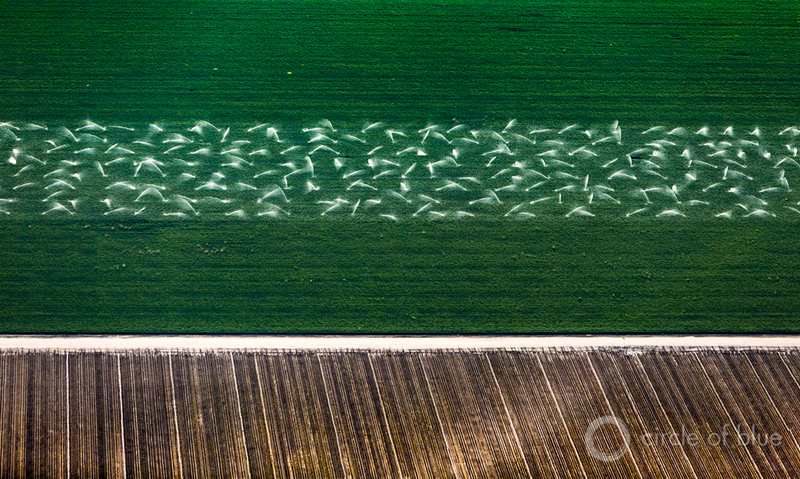 Here, sprinklers drain groundwater to irrigate huge farm fields. Click image to enlarge.